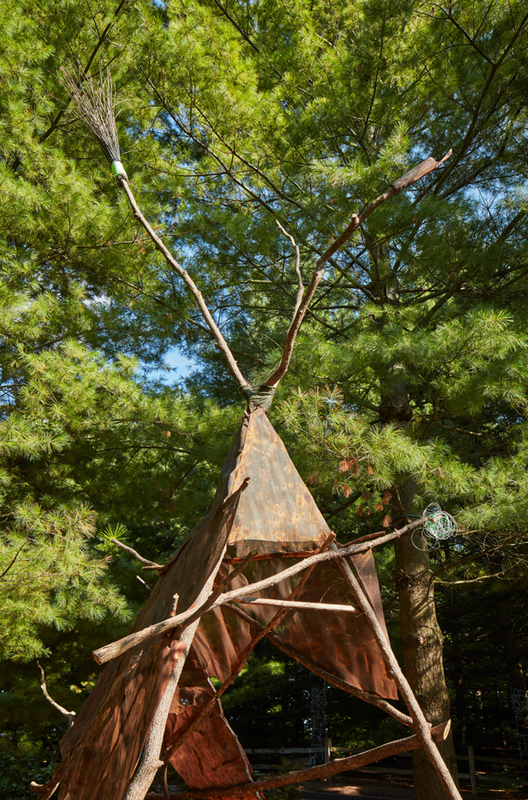 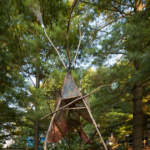 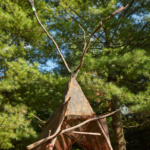 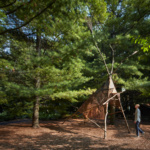 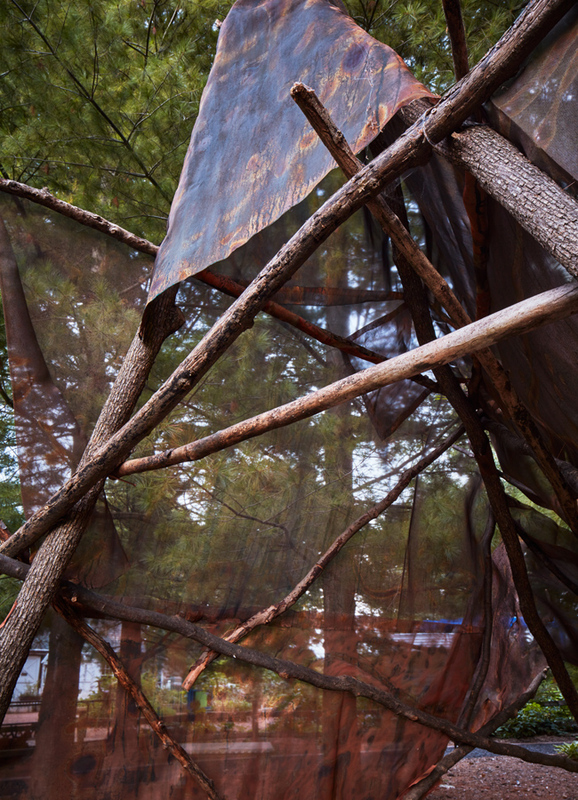 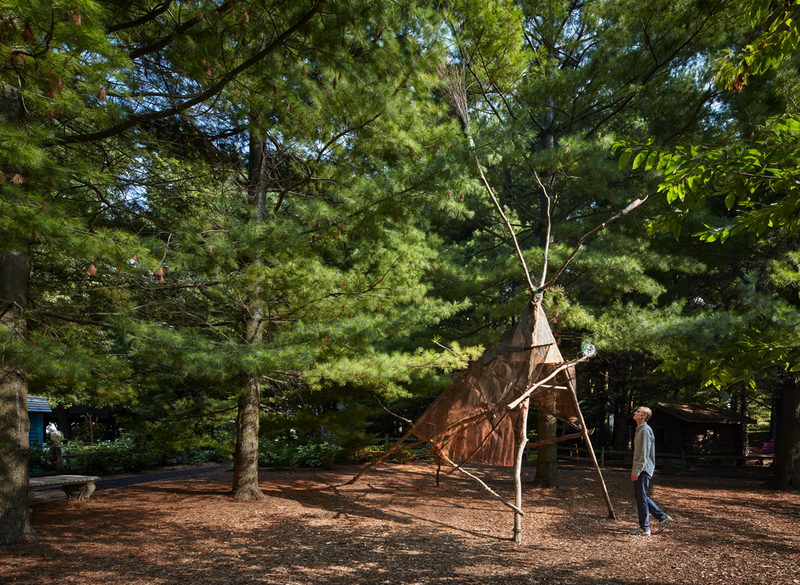 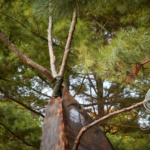 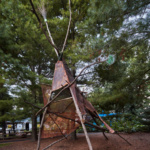 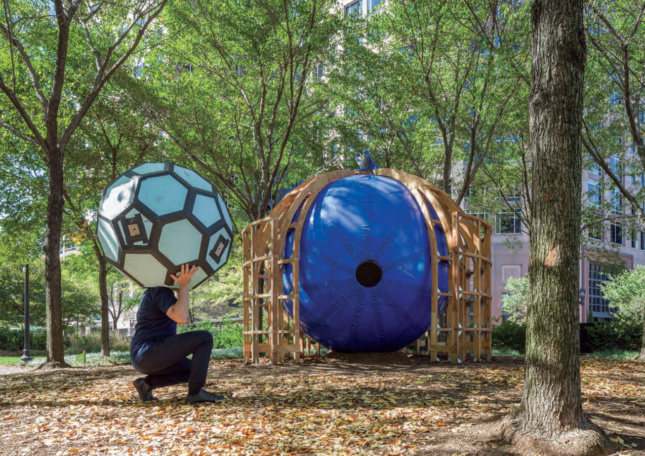 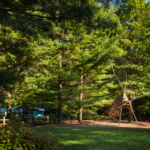 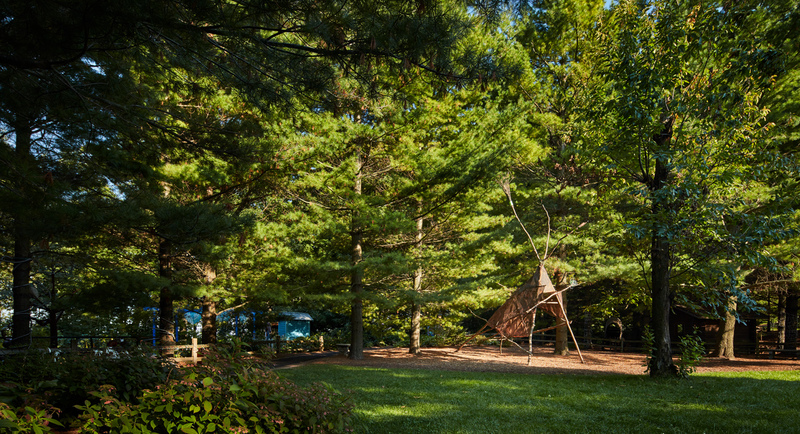 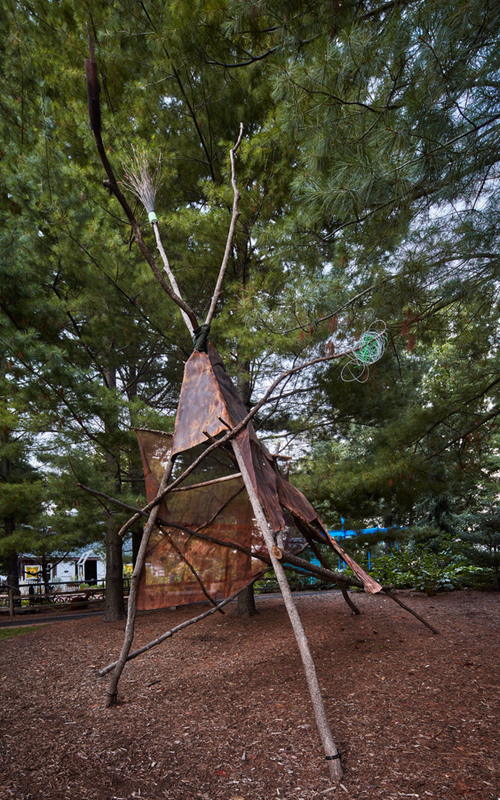 Designed by studio:indigenous, Trickster is an installation completed during a residency at the Bookworm Gardens in Sheboygan, Wisconsin. 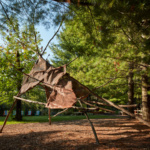 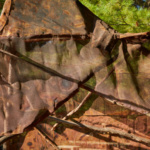 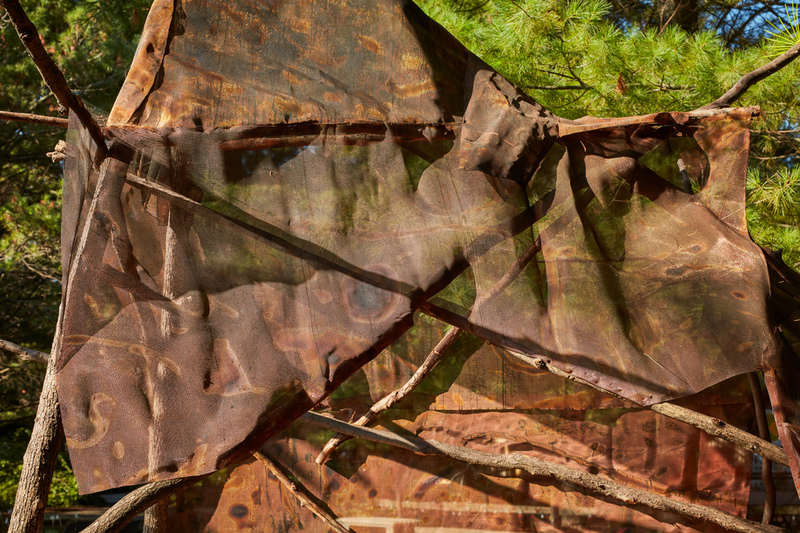 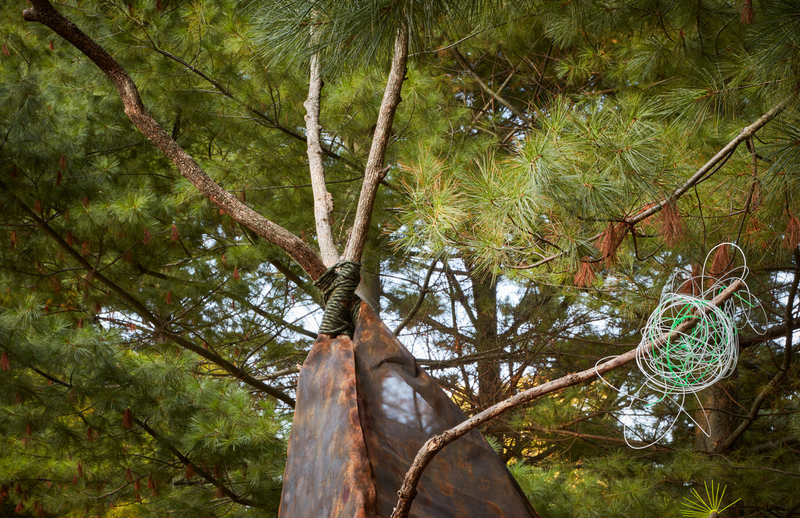 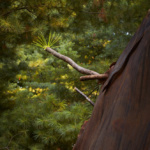 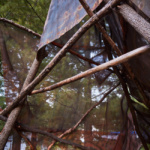 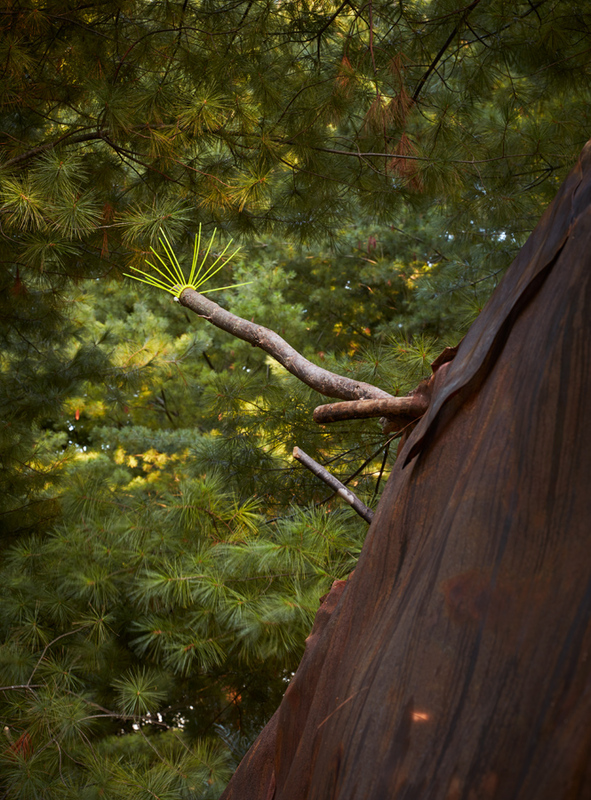 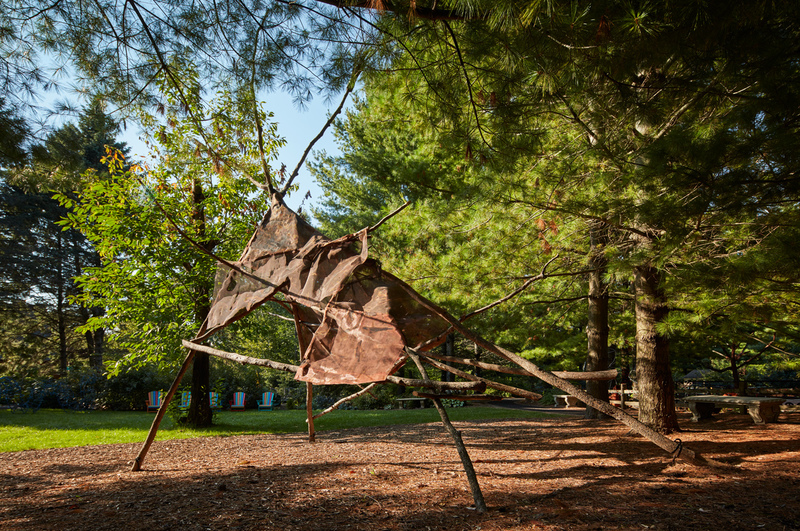 The piece is made of wood harvested on-site and patinated in copper mesh. 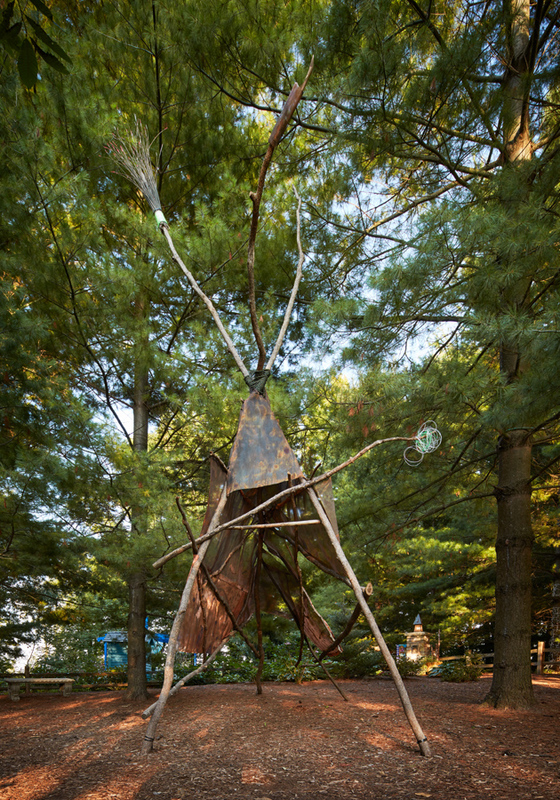 The primal sculpture plays an important role in indigenous storytelling, which focuses more on animal forms and natural phenomena than on humans. 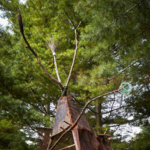 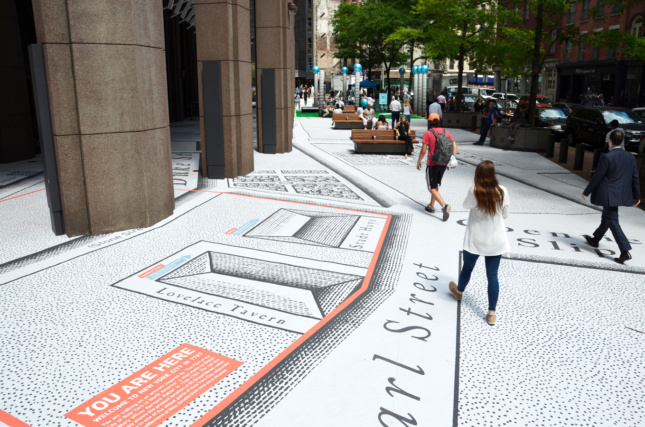 The stories—and Trickster, by extension—are designed to encourage viewers to free their minds of all that complicates this world and examine their own flaws rooted in anthropocentric thinking. 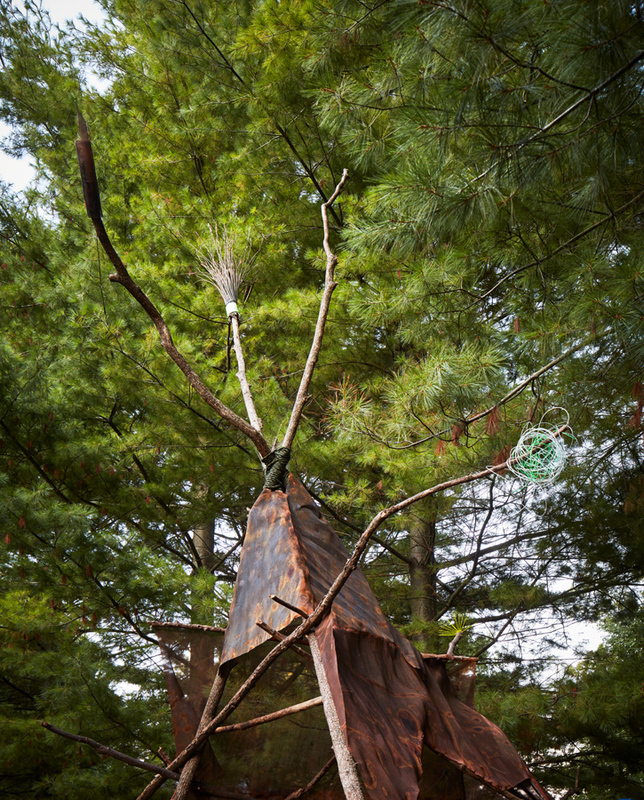 Observers are encouraged to tell their own stories based on how they experience Trickster.